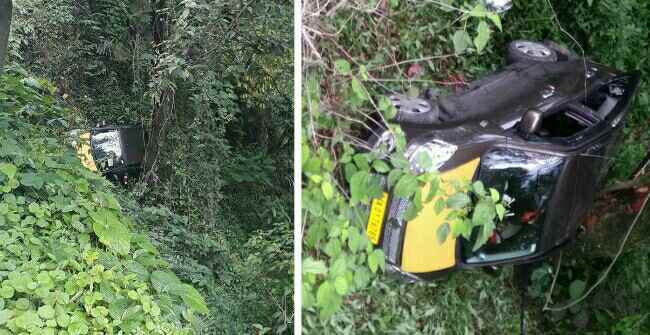 Taxi car accident near Marchak (Dumping Site and GREF Camp) along NH10 between Ranipul and Singtam. All 3 occupants in car sustained injury are rescued. The taxi had fallen from cliff nearly 30 to 40 feet. According to people car slipped down while overtaking another vehicle.